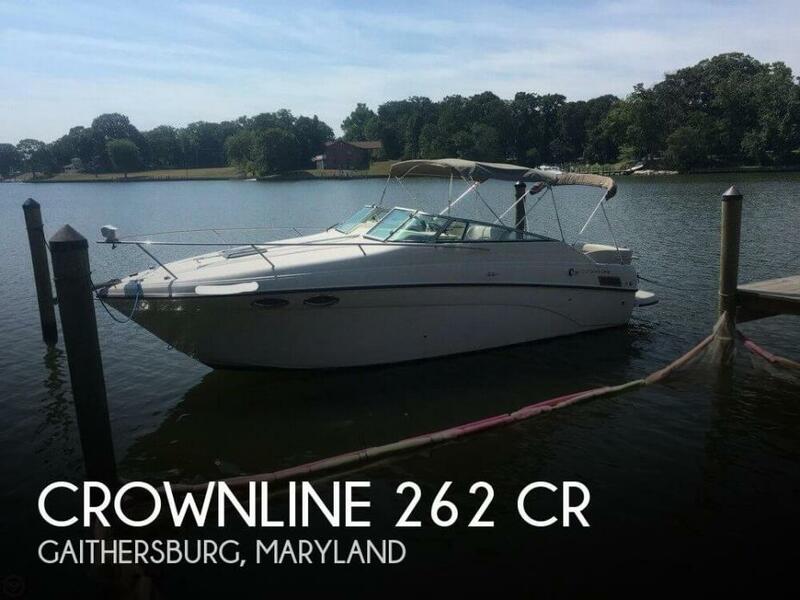 2001 Crownline 262 CR Come see this nice express cruiser. New Listing photos and full specs coming soon. 2002 Crownline 262 CR This inexpensive mid cabin family cruisers features: open cockpit with walk through windshield, removable bench sheet, nicely appointed cabin, enclosed head, hot water, shore power, microwave and refrigerator. 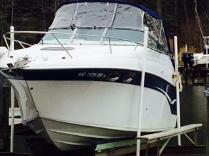 Powered by dependable Mercruiser 5.7 Bravo III and includes custom prestige trailer. 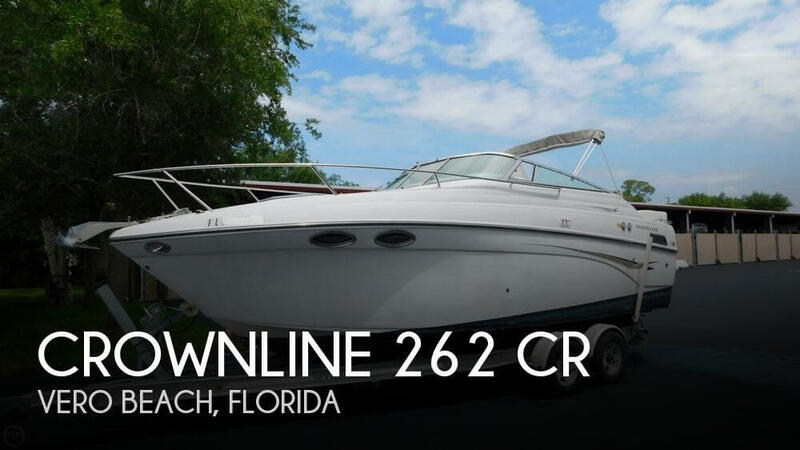 2002 Crownline 262CR, Very affordable mid cabin express. Great way for a family to get into Marina boating. Low hours on the Mercruiser 350 Mag w Bravo 3 duo prop outdrive. Trades considered. 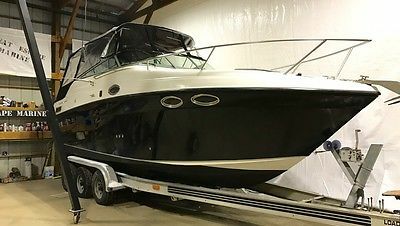 2003 Crownline 262 CR 2003 Crownline 262 CR, powered by 5.7L Mercruiser 250 Sleeps 4 underneath in the cabin... one mattress recently upgraded with an IKEA mattress for added comfort. Cabin includes a head with a shower, microwave, `range`, sink and lots of storage. New GPS Chart Plotter and radio, full canvas surround package. Great for entertaining and spending the weekend out on the Bay. 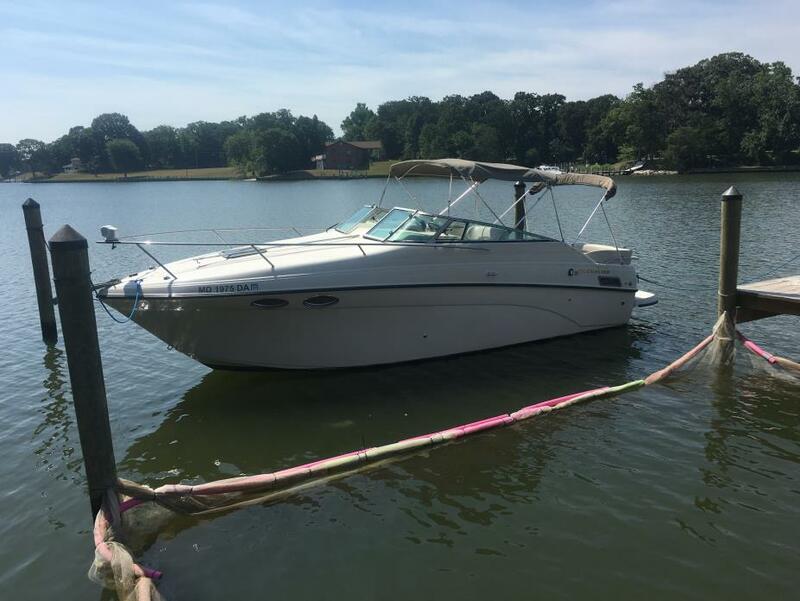 Battery Charger, Depth Sounder, GPS - Color Fixed Mount w/Cartography, Stereo - am/fm/CD, Bar / Console, Microwave Oven, Pressure Water System, `Range`, Refrigerator, Water Heater, Air Conditioning / Heating System, Batteries - Dual w/Switch , Fuel Injection, Swim Step w/Fold Down Ladder, New Anchor Motivated sellers looking for a quick sale! 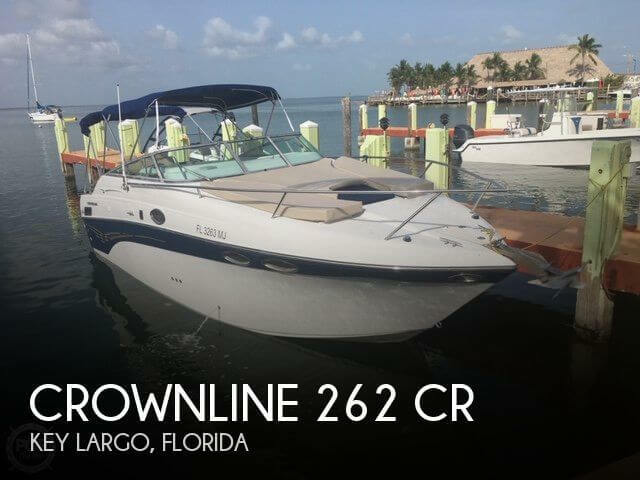 2002 Crownline 262 CR **** W/MERC 350 MAG MPI BIII/BIMINI-CAMPER/GREY WATER/FRESH WATER/ *** Crownline offers a beautiful boat with a fit and finish that highlights the quality that sets them apart from the rest. This mid size cruiser offers all the dockside and shore power amenities for a fun weekend on the water, whether your are cruising or taking a weekenfd trip or just hanging out dockside! This boat is powered by the 350 MAG MPI with the Bravo III outdrive Only 260 hours on the engine!. The canvas is complete with a bimini top, side curtains, windshield visor and a camperback all in excellent condition. This is a fresh water lake boat and comes with a heavy duty tandem axle galvanized trailer. The cabin is equipped with all the goodies for weekending, like sink, stove, fridge and a microwave oven, and for inland waterway or lake use it has an on board grey water tank. It comes with a fully enclosed head with a hot and cold shower and a marine toilet.The cabin will sleep 4 people comfortably! The cockpit has plenty of room for entertaining your guests and features a very comfortable seating layout and includes cockpit carpeting and a wetbar. The dash panel is configured nicely for ease of use and has a full compliment of gauges to keep an eye on all your engine functions and includes a VHF radio, in dash depth finder,trim tabs remote spotlight and an AM/FM CD Stereo.. At the stern there is an extended swim platform with boarding ladder.All in all, this boat has everything you could want in a trailerable cruiser. 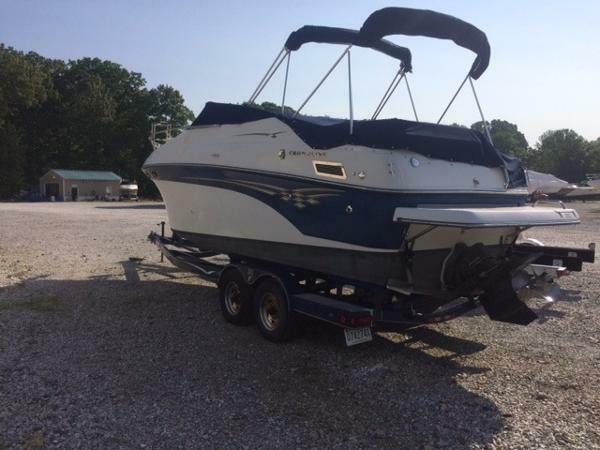 This boat is in stock now at our location and can be seen! 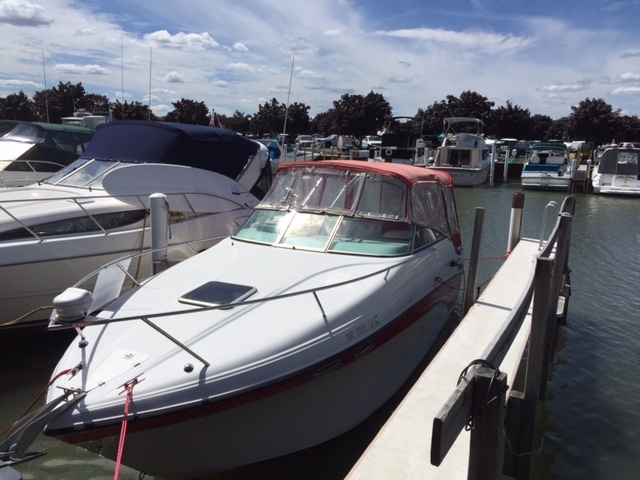 Call today to find out more about this boat! 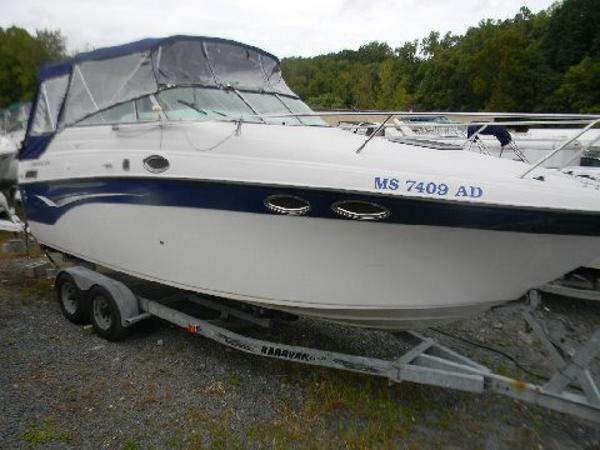 Lightly used 2002 Crownline 262CR cabin cruiser with only 245 hours! 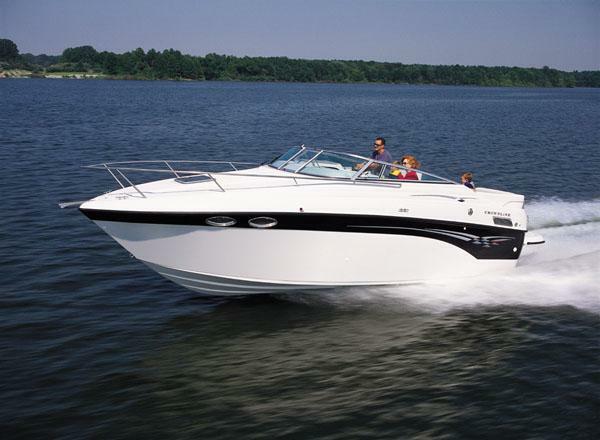 Volvo Penta 5.7Gi with fuel injection and 260 HP is more than enough to get you on plane fast! Dual, counter rotating stainless steel props provide high torque for towing a skier. Lift kept since 2004 except for 1 season. New shark white ablative bottom paint gives you the option of extended periods in the water. Well Maintained reliable performance cruiser! Crownlines are a cut above the rest! Huge interior with plenty of headroom. KEY FEATURES Hot/Cold Pressure Water Alcohol/electric Range AC/DC Refrigerator Water heater Air Conditioning with Heat Shore power Full head with shower Transom shower Exterior stereo controls Exterior icebox Pivoting dual helm seat lets you join the party 20 Gallons of water and 100 Gallon fuel tank This is the perfect Bay boat!! With high freeboard and 26 foot length, you will feel safe in the worst conditions on bay. 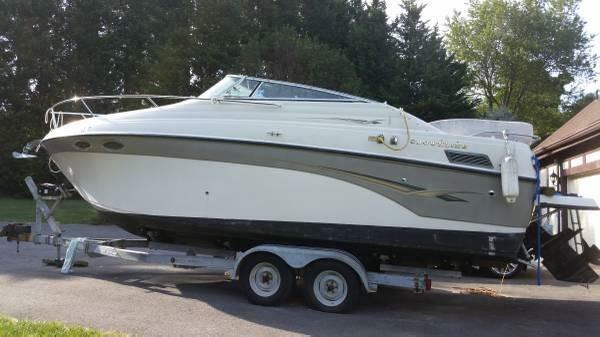 Also works well as a ski boat and weekend cruiser. Center table drops to allow for a full bed in front as well as one under the deck for the kids. Stereo speakers throughout. Maintenance has been a priority: 2013 Exhaust risers replaced at first sign of rust 2013 New water pump 2014 New stereo Head and exterior speakers Yearly oil changes/plugs/fuel filter replacement Winterized every year With small children, we kept it reliable! Get this in time for this season!